South Africa is marked by huge discrepancies in wealth, resources, and educational and career opportunities. This is not only a legacy of apartheid: it’s a feature of newly industrialising countries everywhere, as they try to remain competitive in an increasingly globalised world. The Department of Social Development (DSD) aims to provide “comprehensive, integrated, sustainable and quality social-development services”. It also seeks to create “an enabling environment for sustainable development in partnership with those committed to building a caring society”. The DSD, which is responsible for policy and oversight in the critical areas of social assistance and social-welfare services, flags its approach as being “in the spirit of Batho Pele” (which means “people first”). These objectives were formulated in the context of the Millennium Development Goals. The eight goals, comprising 18 specific targets, were adopted at the United Nations as part of the Millennium Declaration in 2000. To achieve these goals, the DSD is collaborating with the private sector, non-governmental organisations (NGOs), faith-based organisations, organised labour and other role-players. Its activities are designed to complement overarching national programmes such as the National Skills Development Plan, the Expanded Public Works Programme (EPWP) and the Accelerated and Shared Growth Initiative (Asgisa). Since 2004, the department’s tasks have expanded and the social welfare system has grown significantly – with beneficiary numbers increasing from 3.8-million in April 2001 to more than 11-million in March 2006, according to the South Africa Yearbook. The proliferation of HIV/Aids in South Africa has also led to the expansion of the DSD’s mandate: it has a growing responsibility for a broad set of initiatives to improve the lives of South Africans – by coordinating home-based care for people living with HIV and Aids, food-relief programmes and programmes for particularly vulnerable groups. It also oversees the National Development Agency. In 2004, after 10 years of democracy, the emphasis – which had initially been on designing a strategy – shifted to monitoring and evaluation of programme implementation. The national government has identified a set of development indicators that also shapes the policies of the DSD. The South African Social Investment Exchange (Sasix) has raised some R2.4-million for selected projects since its launch in June 2006. Individuals or companies can buy shares in social investment projects of their choice, as a cost of R50 per share, from the Sasix website. Sasix, an initiative of the Greater Good South Africa Trust, was launched with an initial offering of 16 social projects in four targeted sectors: enterprise development, early childhood development, food security, and orphans and vulnerable children. The Cabinet has approved a set of key indicators as evidence-based indexes of social development. The Policy Coordination and Advisory Services (PCAS) in the Presidency – working with the clusters of directors-general and with departments – has compiled data on each of the 72 development indicators, informed by international good practice adapted to South African conditions. South Africa’s official unemployment rate rose from 23.1% in the first quarter of 2008 to 23.2% in the second quarter. The unemployment rate for black South Africans was 27.4%, for coloureds 19.1%, for Indians/Asians 11.7% and for whites 4.1%. Some 26.3% of all South African women were unemployed, and 20.6% of South African men. The unemployment rate was highest in Limpopo (29.5%) and the Eastern Cape (27.4%), and lowest in the Western Cape (19.7%) and Gauteng (21.8%). The Expanded Public Works Programme (EPWP) was set up by the South African government in 2004 to fight poverty by using existing government budgets to create jobs in labour-intensive projects over five years. In 2008 it reached one of its major goals more than a year ahead of schedule, having created over a million new job opportunities. In his State of the Nation address in 2003 former President Thabo Mbeki announced the new initiative, aimed at drawing at least 1-million jobless people into productive work between 2004 and 2009. Of those, 40% would be women, 30% youth and 2% disabled. The EPWP arose out of the 2003 Growth and Development Summit, which explored the causes of unemployment. The programme is the major instrument of the Department of Public Works’ (DPW) poverty alleviation strategy, working as a bridge between South Africa’s formal and informal economies. The EPWP has two major components: creating employment using labour-intensive methods, and giving people skills they can use to find jobs when their work in the EPWP is done. Although the projects have a limited lifespan, the main focus is on skills development and access to work, which allows the previously unemployed to take their first steps into the job market. In her annual budget speech in parliament in May 2008, then-Minister of Public Works Thoko Didiza said the target of a million jobs had been reached by the end of April. Exactly 1 077 801 work opportunities had been created, way ahead of the March 2009 deadline. The EPWP had also surpassed its targets for women and youth, who made up 47% and 40% respectively of those employed. Eradicating poverty is the highest priority in the government’s programme to improve the lives of South Africans: it has set itself the goal of halving poverty between 2004 and 2014. In June 2007 the Presidency’s Policy Coordination and Advisory Service (PCAS) unit released the Development Indicators Mid-Term Review, which indicated that poverty was being successfully tackled and that the number of South Africans surviving on less than R3 000 a year had also decreased – from 50% to 43% of the population. Since 2002, strong overall income growth, including the expansion of social grants, has resulted in a rise in the income of the poorest 20% of the population. However, the rate of income improvement among the poor has not matched that of the rich; thus, while income poverty is declining, inequality has not been reduced. The South African Social Security Agency Act and the Social Assistance Act cover the social grants function of the DSD. The DSD also manages a poverty relief programme. The Independent Development Trust (IDT) has been contracted to provide implementation support for projects that fall within this programme. Income transfers to households, mainly through social assistance grant programmes, stood at R74.2-billion in 2005. 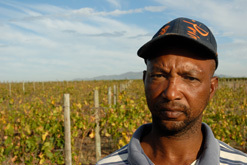 In 2006/7, they received an additional R2.7-million. These grants amount to some R61-billion a year, about 3,3% of GDP, and contribute more than half of the income of the poorest 20% of households. The 2007 Budget brought increases in social grants, thanks to success in recent years in curbing corruption in the country’s social grants system. The Budget also made R10-billion available over the next three years to improve the services provided by social welfare organisations in communities. In addition, R25,5-million has been set aside for the establishment of a social-security inspectorate to root out fraud. There has been a strong decline in the headcount poverty rate since 2001 – mainly due to the expansion of social grants and the creation of more jobs. Between 2000 and 2005, the Living Standards Measure (LSM) data shows a significant decrease in the number of people in the poorest categories (LSM 1-3), with a marked reduction of the number of people living in LSM 1. The number of people living in LSM 4-10 shows an increase and in part reflects the growth of the middle classes. Since 2000, there has been a trend of increasing mortality, especially among the young. This seems to be related to the increase in HIV prevalence rates since 1998. The DSD is collaborating with the Department of Health to fight the spread of HIV/Aids. The social impact of the disease is evidenced by the increase in the number of orphans and child-headed households – which results in the disintegration of families and communities. About R4.2-billion is expected to be spent in 2006/07 on social-sector employment programmes. These include home- and community-based community care (HCBC) and early childhood development, community health workers and social-development partnerships with NGOs. The Department of Social Development’s HCBC Programme is based on the premise that vulnerable children and their families are better protected and supported within their communities. Among the social-service priorities are the care of child-headed households, the strengthening of HIV and Aids programmes, and the appropriate management of children in conflict with the law. The Lovelife Groundbreaker Partnership Programme has been integrated into the Expanded Public Works Programme to extend its support. Its emphasis is on young people and inculcating behaviour changes. The emergence of many child-headed households has led to a focus on caring for such vulnerable children. The department chairs the National Aids Children’s Task Team, a multisectoral team focusing on the care of children infected with or affected by HIV/Aids. The DSD has also developed the integrated and consolidated Five-Year National Social Development Strategic Plan, which is being implemented in partnership with other stakeholders such as the United Nations Children’s Fund. The DSD is tasked with the implementation of the Probation Services Act; as a result, it is responsible for many interventions (such as reception, assessment and referrals) and crime prevention programmes. South Africa’s prison population is on the increase again, following a reduction through a remission programme in 2005. The DSD’s Victim-Empowerment Programme (VEP) facilitates the support, protection and empowerment of victims of crime and violence, with a special focus on women and children. Home-based supervision programmes benefited about 1 000 children in conflict with the law. The number of children in correctional-service facilities declined by 40% between 2004 and March 2006. According to the South African Yearbook, the VEP is a major component of the agreement between the Department of Social Development and the United Nations Office for Drug Control and Crime Prevention, for the establishment of one stop centres for women and children who are victims of abuse, especially domestic violence. There has been a sustained growth in the delivery of housing units, albeit low relative to the backlogs. Houses completed between 1994 and March 2006 amount to 2.3-million. In February 2007, the housing minister announced the establishment of a Housing Development Agency in an effort to double the number of houses being built and to meet its target of eradicating informal settlements by 2014. Although about two million low-cost houses have been built since 1994, there are still 2.4-million households in informal settlements. The Department of Housing has projected that delivery will increase to 265 000 houses in 2006/07, based on a conservative estimate of 30% growth in the final quarter. In order to eradicate the housing backlog, annual delivery rates of more than 400 000 units are required, at a cost of between R345-billion and R548-billion, with costs decreasing as the delivery rate increases. In the 2007/08 Budget speech, housing will receive an additional R2.7-billion – which brings the total allocation for the next three years to R32-billion. The housing budget will have risen from R4.6-billion in 2003/04 to R12.5-billion by 2009/10. The private sector has also come on board to increase access to housing: four major banks entered into a memorandum of understanding with the government in 2005, paving the way for R42-billion to be spent on low-cost housing in the country. Financial group Absa has committed R2.6-billion to provide 100 000 low-cost houses by 2010, fulfilling its part of the agreement. Since 1994, the percentage of households with access to water at equal or above the Reconstruction and Development Programme (RDP) standard increased from 61,7% to 84,7%. This rate of delivery has been achieved in the face of a 26% increase in household numbers. In recent years the backlog in the provision of water has been reduced to 17%. The Department of Water Affairs anticipates that the country will achieve universal access to water by 2008 and to sanitation by 2010. South Africa provides indigent households with a free basic six kilolitres of water a month, amounting to about 25 litres per person per day – an example the UN has called to be emulated worldwide. The government’s goal is for all people in South Africa to have access to a functioning basic sanitation facility by 2010. Households with access to basic sanitation increased from 50% in 1994 to 71% in 2006. In April 2006, the backlog was more than 3.7 million households; hence, the delivery rate should increase to achieve the target. Progress is being made to eliminate the bucket system in established settlements by the end of 2007. The provision of electricity, even though it has fluctuated in some years, presents a steady picture of progress. A key objective is the electrification of all households and the provision of free basic electricity to poor households. The electrification programme has seen 3,5 million homes electrified since 1994. In line with the Integrated National Electrification Programme, the government has established the Free Basic Electricity Programme: this allocates 50Kwh a month free to people in a certain income bracket. South Africa has settled at least 90% of land claims lodged since 1994, the Commission on Restitution of Land Rights announced in July 2007. About 74 000 of the 79 000 claims lodged between 1995 and 1998 have been settled, and the commission aims to complete the restitution process by 2008. The government is expanding programmes to enhance agri-expertise and provide financial support to first-time farmers. The mutually supportive relationship between the Land Affairs and Agriculture departments is also receiving further attention. South Africa will spend an extra R8.1-billion on improved teacher salaries, teacher assistants and school support staff over the three years from 2007/08 – the aim being to achieve a 40:1 ratio for primary school learners per teacher and a 35:1 ratio for secondary school learners per teacher. The government has embarked on an intense drive to harness and improve the skills of South Africans to ensure accelerated economic growth. The Joint Initiative on Priority Skills Acquisition (Jipsa), which was launched in March 2006, is a high-level task team that will identify urgent skills needs and advise on how they can be met. Jipsa has already identified several interventions in need of urgent attention, such as mentoring programmes and overseas placement of trainees to fast-track their development. Others include special training programmes, bringing back retirees and expatriate South Africans, and drawing in new immigrants. Also planned are a major upgrade of Further Education and Training colleges and a revamp of the Adult Basic and Education Training programme. Since 2000, many more male learners than females have been receiving primary education. The Gender Parity Index (GPI) for total school enrolment (Grade 1 to Grade 12) indicates that gender parity has been achieved. However, it is important to also consider the difference in enrolment patterns between primary and secondary schools. Between 1994 and 1999, the senior certificate pass rate fluctuated between 47% and 58%. After 1999, the pass rate improved substantially, reaching 73% in 2003. From 2004 onwards, there has been a slight drop in the pass rate each year. The number of literate people in the country has increased between 1995 and 2005. The government aims to increase literacy and reduce the adult illiteracy rate by 50% between 1990 and 2015 – by rolling out a R6.1-billion literacy campaign over the next five years, targeting 4.7-million South Africans who were previously denied access to education.